When Gail Goodwin visited the Tiber Christmas Grotto she was saddened to see a number of children without winter coats to keep them warm. Inspired by Gail’s comments, we organised a Winter Warmer appeal from GTDT to help local families, particularly those with children, stay warm over the Christmas period. The response from individuals and businesses was overwhelming. We initially put out a Facebook appeal which resulted in 26 bags being dropped off at our Centre on Lodge Lane within the first 24 hours. Items included toys, footwear, blankets, hats, scarfs, coats and baby clothes. 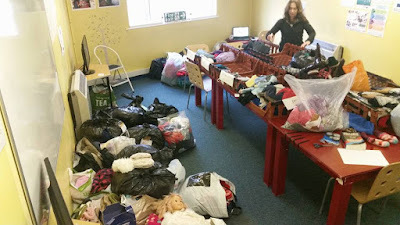 We also approached BBC Radio which resulted in a surge of interest from people who wanted to help and donate clothes. With each black bag of clothes donated weighing an average of 8kg, we estimated we had in total 1.6 tonnes of clothes. To complement this activity we also had approached City FM regarding their toy appeal and we were delighted to receive about 250 toys – enough to fill 2 cars! – along with 80 pairs of fleecy pyjamas from Pyjamas Party Liverpool. In total we collected and were ready to distribute over two tonnes of goods. Over a two day period staff and volunteers were out and about distributing packages of clothes, fleecy pyjamas and toys to the local community. These included the YMCA Womens’ Refuge and the families of children who access our services throughout the year. 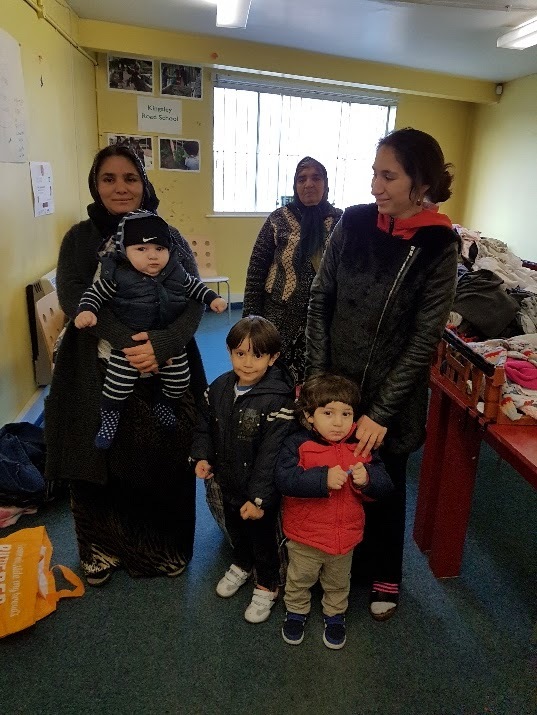 Individual families were also invited to our Centre office to pick up bags of warm clothes. A number of people told us that this was the true meaning of Christmas. People were overwhelmed with what they were receiving especially the childrens’ coats and new pyjamas. In total over 80 families were assisted with over 232 individuals receiving either toys or winter clothing. Given the success of the appeal this is definitely something we will be doing again!